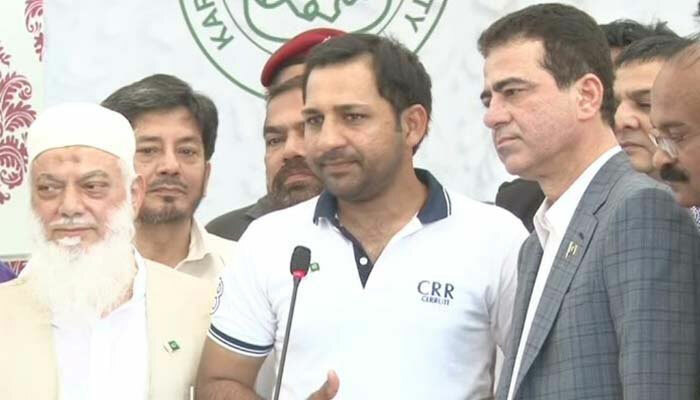 KARACHI: Pakistan cricket team captain Sarfraz Ahmed said that his boys’ preparations for the match against India in the forthcoming Asia Cup are in full swing. He was talking with media after attending an Independence Day celebrations at a private school here on Saturday. Sarfraz said that the Pakistan team is set to play against its rival team in the Asia Cup 2018. Their match will be played at Dubai in UAE on September 19. Replying to a question, the Pakistan captain told the media that he has not received invitation for attending the oath-taking ceremony of Imran Khan as the new prime minister of Pakistan.